When you visit our consumer applications, including this web site, we may collect information about you that you share with us by using our consumer applications. This identification information typically includes your name, e¬mail address, and telephone number. You are not required to provide this information in order to use our web site. However, if you would like for a broker member of our real estate brokerage network to be permitted to share with you additional, non-public information about properties listed for sale or lease that would otherwise not be available to you, you must register on our site by providing this identification information. You can search for the name(s) of the network member(s) brokerage serving the market area(s) you are interested in by going here. By supplying your name, email address and telephone number, you create a non-binding, default “buyer agency” relationship (a lawful consumer-broker relationship) with Berkshire Hathaway HomeServices and/or one of our real estate broker franchisees that permits use to provide you with non-public information about real properties for sale or lease for your personal, non-commercial use. If you wish, you may set up searches and email alerts to notify you when new or updated property listings matching the criteria you specify become available. Most web browsers automatically accept cookies, but will also provide controls that allow you to block or delete them. Instructions for blocking or deleting cookies are generally available in your browser's privacy or help documentation. If you choose to delete cookies, some settings and preferences controlled by those cookies, including advertising preferences, will be deleted and may need to be recreated. You may deactivate cookies if you do not want your browsing to be tracked, but doing so may hinder your online experience on our site. Pixels: We may also place pixels, which are used to collect information and that the information will be shared with our advertising agencies to provide you with targeted advertisements. You can learn more about tracking technologies and opt-out of receiving behavioral advertising by visiting the following websites: NAI and DAA. Processing location: We process your personal information in the United States. For users located outside of the United States, please see the paragraph titled International Users below for more information. We primarily use the identification information you voluntarily share with us to customize your online experience and to do what you have asked of us. We also use your identification information to tell you about our products and services, but you may instruct us not to send communications to you by following the procedure indicated below under “Contacting Us.” On occasion, we use your identification information to validate your identity. As for usage tracking data, we primarily use that information to operate and improve our consumer applications, and to further our marketing efforts. As a general rule, we do not share your information with unaffiliated third parties. We do, however, share your information with our own personnel, members of our real estate brokerage network and our service providers to the extent necessary to fulfill your requests. We do not share your information with unaffiliated third parties for direct marketing purposes. We reserve the right to disclose your information under limited circumstances, such as to cooperate with law enforcement or judicial authorities as required by law or legal process, to protect our own legal rights, or to protect the public good. Please note that we will retain the information we collect from you for as long as needed to provide the services you request and to comply with our legal obligations, resolve disputes and enforce our agreements. If you would like to review the information about you that we have collected through our consumer applications, or to change that information, you can make that request by following the procedure indicated below under “Contacting Us.” We may require that you verify your identity before we process your request. EU Residents: If you are a resident of the European Union, you have the following rights under the EU’s General Data Protection Regulation. Any requests you make may take up to 30 days to process. Please be sure to provide your identifying information when making the request. 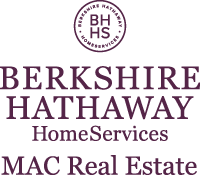 Access: You may request to access your personal information and obtain a copy of the personal information which is being processed by Berkshire Hathaway HomeServices. Such requests will be made by contacting us. Correction or update: You may ask us to change, update or complete any missing data we process about you, by contacting us with the relevant updates. Erasure: We only process your personal information with your consent. You may withdraw your consent to our processing of your personal information at any time. Unless we believe we have a legitimate interest for continuing the processing of your personal information (e.g. to comply with our legal obligations, resolve disputes, enforce our agreements, etc.) and the personal information is no longer necessary in relation to the purpose for which it was originally collected, we will erase your data. Portability: You have the right to receive a copy of your personal information in a structured, machine-readable format. To make any of these requests, please contact us. Electronic communications such as email, text messages and social media messaging, are neither secure nor confidential. 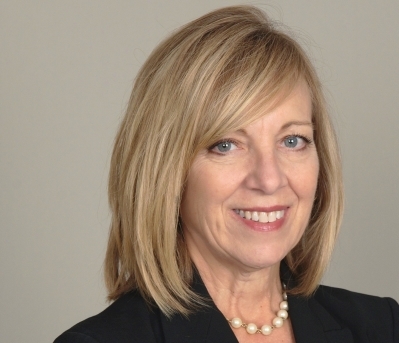 While real estate brokerages have adopted policies and procedures to aid in avoiding fraud, even the best security protections can still be bypassed by unauthorized parties. No broker or agent will ever send you any electronic communication with instructions to transfer funds or to provide nonpublic personal information, such as credit card or debit numbers or bank account and/or routing numbers. YOU SHOULD NEVER TRANSMIT NONPUBLIC PERSONAL INFORMATION, SUCH AS CREDIT OR DEBIT CARD NUMBERS OR BANK ACCOUNT OR ROUTING NUMBERS, BY EMAIL OR OTHER UNSECURED ELECTRONIC COMMUNICATION. EMAILS ATTEMPTING TO INDUCE FRAUDULENT WIRE TRANSFERS ARE COMMON AND MAY APPEAR TO COME FROM A TRUSTED SOURCE. If you receive any electronic communication directing you to transfer funds or provide nonpublic personal information, EVEN IF THAT ELECTRONIC COMMUNICATION APPEARS TO BE FROM YOUR REAL ESTATE BROKER OR AGENT, do not respond to it and immediately contact your real estate agent by telephone or another means. DO NOT USE THE CONTACT INFORMATION DISPLAYED IN THE COMMUNICATION YOU RECEIVED. Such requests, even if they may otherwise appear to be from your real estate agent or another person connected with your property transaction, are likely part of a scheme to defraud you by stealing funds from you or using your identity to commit a crime. To notify us of suspected fraud related to your real estate transaction, contact us. Under California law, California residents have the right to request in writing from businesses with whom they have an established business relationship (1) a list of categories of personal information, such as name, address, e-mail address, and the type of services provided to the customer, that a business has disclosed to third parties [including affiliates that are separate legal entities] during the immediately preceding calendar year for the third parties' direct marketing purposes and (2) the names and addresses of all such third parties. To request the above information please contact us by writing to customer service here: contact us.